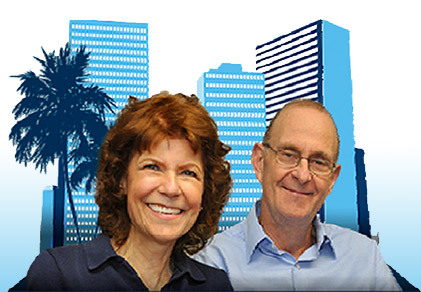 Most of you reading this already know the names Bill and Susan Raphan and the mark they made on the Florida Condominium Ombudsman’s Office during their 7-year tenure. For those of you who don’t know about this dynamic couple, here is their story. When Florida’s first Condominium Ombudsman, Virgil Rizzo, was appointed back in 2004, there was no money to staff the local South Florida Office. Bill and Susan were his first volunteers. They had been having problems in their own condominium and wanted to help others in similar situations. They worked for seven (7) months as volunteers, often returning calls from over a hundred people a day asking for help with their association-related issues, before the money was found in the State budget to finally pay them. During their seven years with the Condominium Ombudsman’s Office they spoke with thousands of association members, directors, association managers, attorneys and legislators about the common and not-so-common issues that crop up when people live in close quarters and decisions are made by an elected body. While some of the problems they confronted were not within their authority to address, others were successfully resolved as a result of their intervention. A patient set of ears, knowledge regarding the Statutes, Administrative Code and practices of the DBPR along with common sense and a dash of humor often helped put both Board Members and Owners with complaints on the right path. Was every problem solved? Absolutely not. Were many problems that could have resulted in time consuming and costly litigation successfully defused? Absolutely yes. Bill and Susan had run a successful catering business for many years and, as a result, applied many of those same business principles to organizing the Ombudsman’s Office in an efficient manner especially given the shoestring budget under which they were forced to operate. They began an extensive education program at Broward and Palm Beach College as well as in Community Centers and Condominiums throughout the State. They facilitated the appointment of election monitors for approximately 90 condominium elections per year and educated almost 6,000 people in just their last year at the Condominium Ombudsman’s Office! In 2011 they made the leap of faith and decided to join Leigh Katzman’s Law Firm as its Statewide Educational Facilitators. Today, the Raphans have been widely recognized for their role in providing Board Members and Community Association Managers (CAM’s) across the state of Florida with the highest-quality educational seminars for certification and continuing education credits. Bill and Susan were also featured in a front page article in the Wall Street Journal and have appeared on many TV and radio programs. We are thrilled to have Bill and Susan as part of our team at Katzman Chandler and would urge you to experience one of their enjoyable and interactive educational classes for yourself. For those of you wishing to contact Bill and Susan Raphan, you can reach them on their TOLL FREE HOTLINE @ 855-827-5542 or by email at WSRaphan@KatzmanChandler.com.